Cornwall Glass is a family owned business specialising in the manufacture, production and installation of glass and glazing products for commercial, trade, architectural and domestic customers. With 15 branches throughout Cornwall and South West, the company have supported local communities since it all began in 1978. The Cornwall Glass Fund was established in 2009, managed by the Cornwall Community Foundation (CCF) to provide funding for community groups. 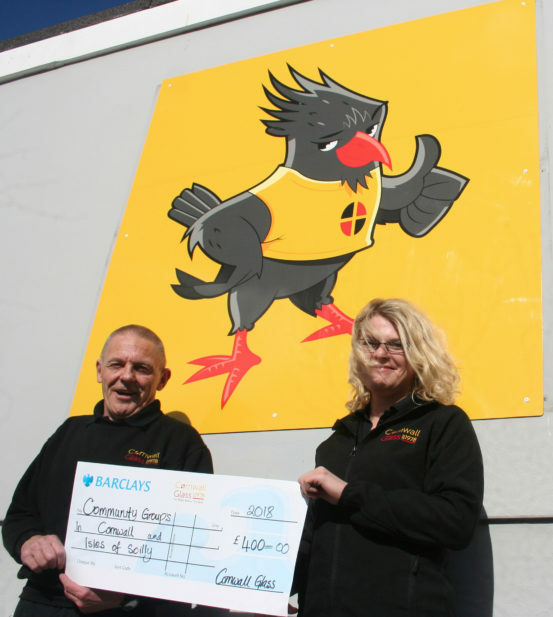 The Fund has grown and has invested more than £60,000 in 65 community projects within Cornwall and the Isles of Scilly to date. Cornwall Glass colleagues take an active role in the decision-making process for the applications to the Fund and this year they will be prioritising projects that demonstrate bringing people together in their local community. Applications are welcome from constituted registered charities, voluntary Groups, Community Groups and Clubs located in Cornwall and the Isles of Scilly. For further information on the application guidelines and to download the application form please click HERE.